We’ll take a brief break from our playoff coverage to try and give some hope to the teams who landed outside of the final four. To do this, we’re going to break down the quarterbacks who may be available to switch teams this offseason. We’re going to break them down by categories so that you can see just how likely it is that your favorite team can land each guy. If you have ideas of great matches between a quarterback and a team, leave them in the comments below, and we’ll talk about it. We’ve also created a post of teams with quarterback needs to help you play a matching game. First of all, cross Manning and Vick off your list. The Colts and Eagles will not let these franchise quarterbacks leave via free agency, unless something incredibly screwy happens with the new CBA (whenever it is signed). While Manning and Vick are unrealistic pipe dreams, the other guys on this list are on the market. Hasselbeck’s strong postseason play for the Seahawks likely increased his price tag, and he’s likely in line for a multi-year deal now, which may price him out of Seattle given the team’s investment in Charlie Whitehurst. The Seahawks say they want to keep Hasselbeck, but will they be willing to pay him $15 million-plus as a franchise player? We can’t buy that. 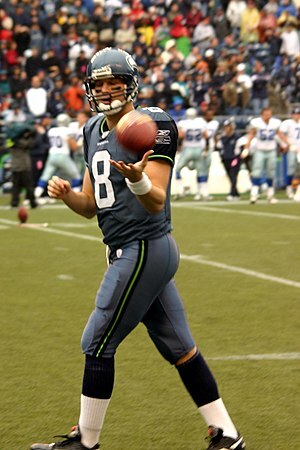 Therefore, our hunch is that Hasselbeck is the one 2011 starter who could step in somewhere else – especially somewhere with a West Coast type of scheme like Minnesota or Cleveland – and provide an upgrade immediately. Collins and Bulger, both of whom were backups this year, are more of stopgap options. Collins played some in Tennessee with mixed results, while Bulger got a break from the beating he took in St. Louis by sitting behind Joe Flacco in Baltimore. Neither is a long-term answer, but both could provide competition for an average quarterback or serve as a placeholding starter for a team developing a young QB. Smith is the wild card of this group. He has talent, but it never worked out in San Francisco. But some team might choose to invest and take a look to see if he can step up his play in a more stable situation. Grossman is in the perfect situation in Washington because he’s been with offensive coordinator Kyle Shanahan longer than Donovan McNabb and seems to be favored over the higher profile QB. If Grossman wants another shot to start, now’s the time to leave after a solid end-of-season performance, but his best chance to succeed and maybe to start is with the Redskins. Volek showed flashes of ability in Tennessee years ago, and he could be a stopgap in Carolina, where the new coach and offensive coordinator saw him practice in San Diego. Wallace is a decent backup who can run the West Coast offense and also move around a bit, but aside from Cleveland president Mike Holmgren, few NFL types see him as more than a No. 3. Pennington was once a quality starter, but his shoulder’s in such bad shape that he’s just a No. 3 at this point. The other guys on this list are not starters but could provide some veteran assurance for a team looking for a third guy. These players may or may not be unrestricted free agents, and all are risky. Gradkowski has had the most success as a starter, making up for physical limitations with gutty play, and it appears he’s not a favorite of Al Davis in Raiderland. He could be a decent stopgap somewhere. Leinart never lived up to his billing in Arizona, but we could see him getting one more shot to compete somewhere. Jackson had his moments in Minnesota, but he was never consistent, and the Vikings have decided he’s not their quarterback of the future. Clemens showed some promise with the Jets before getting stuck, first behind Brett Favre and then behind Mark Sanchez. A change of scenery should provide a better opportunity than he’s had in three years. Croyle is nothing more than a backup. Thigpen had a long chance in Kansas City and a brief chance for the Dolphins this year, but his win/loss record is abysmal. Still, he may be a guy a team wants to bring in as a competitor for a starting job. Stanton had shown little promise until this year in Detroit, where injuries to Matthew Stafford and Shaun Hill forced him into action. Stanton played well enough to at least move up from a No. 3 quarterback to a backup, and perhaps even enter a competitive environment. Moore and Edwards have had shots to start in Carolina and Buffalo, respectively, but both lost their jobs. They’re likely to fill in as backups instead of a starting candidates. Smith showed some spark in San Francisco this year, but he looks to be an energetic backup who can step up in a pinch instead of an every-week starter. Dixon, the Steelers’ backup, has had a couple of starting shots and has played OK. He’s not great, but someone might be enamored with his potential. If the Steelers don’t place a high tender on Dixon, he could be targeted. Brohm was a higher draft pick than Dixon, so an offer sheet is more unlikely. His Buffalo tenure has been uneventful. 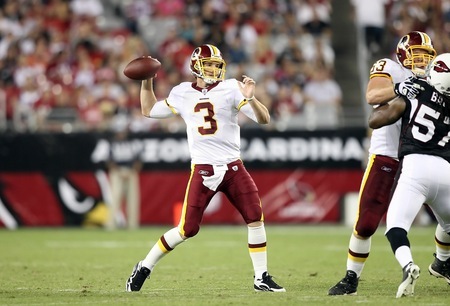 Vince Young, Donovan McNabb, Kevin Kolb, Matt Flynn, Kyle Orton – UPDATE: Carson Palmer? These names are more speculative, but they’re likely to be targeted to some degree or another. The Titans definitely want to be rid of Young, and if they can’t trade him, they’ll release him. At some point, some team will give up a late-round pick to get an exclusive shot at rehabilitating a former top-3 pick who has a winning record as a starter. McNabb may draw some interest as well, although he’s clearly in his decline phase and isn’t worth more than a mid-round pick. But with just one year left on his contract, don’t be shocked to see McNabb shopped. Like McNabb, Orton signed a one-year extension during the season, only to see the starting job go to a younger player during the year. 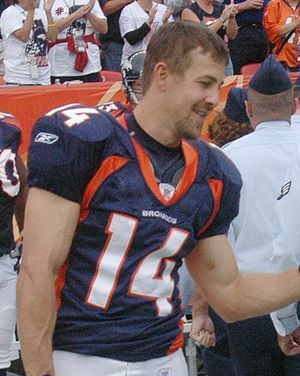 Since Tim Tebow is longer for Denver than Orton is, the Broncos might consider dealing Orton at the right price – likely a mid-round pick. It’s unlikely that the Packers will deal Flynn, but after his solid debut start against the Patriots late this season he’ll be a dream answer for teams looking for a young starter. If the price gets high enough, the Packers might make a move. But the cream of this crop is Kolb, who has one year remaining on his contract at a reasonable price. Certainly, the Eagles would prefer to keep Kolb to back up Vick, whose versatile style exposes him to more of an injury risk than other QBs. But if the Eagles were offered a first-round pick, they’d have to consider trading Kolb and letting young prospect Mike Kafka step in as their backup. That’s a move that Andy Reid’s mentor Mike Holmgren used time after time in Green Bay to build draft equity. Kolb has shown enough in his starting stints to be considered an average NFL starter right away with the promise to emerge into even more.